I discovered another author recently whose words spoke to my heart on many levels. 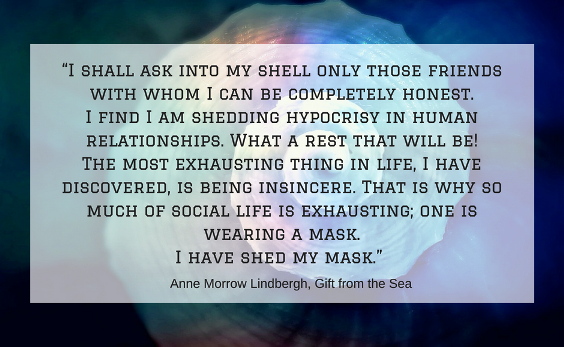 I thought I'd use my October Thursday posts to share Anne Morrow Lindbergh's wise words and mix it up with a few of my own. I've sorted some of her thoughts into four different topics - Midlife (today's post), Blogging/Writing, Life in General, and Relationships. I hope you enjoy reading them. Midlife is certainly the time when we start looking at what we no longer need and we have the capacity to leave things behind that no longer serve us. I love how Anne talks about shedding pride, false ambition and the protective armour we've worn for too long. We aren't in competition with anyone, we don't need to defend ourselves, we can be openly and honestly our true selves - and yes, it's liberating indeed to discover this freedom. She also refers to shedding hypocrisy and insincerity in our relationships, no longer wearing masks and only allowing people into our life who accept us on our own terms and are equally honest and open. I've noticed my friendships in Midlife have whittled down to women I trust - women who are loyal and have integrity and have shed their shells too. As Jesus and his disciples were on their way, he came to a village where a woman named Martha opened her home to him. She had a sister called Mary, who sat at the Lord's feet listening to what he said. But Martha was distracted by all the preparations that had to be made. She came to him and asked, "Lord, don't you care that my sister has left me to do the work by myself? Tell her to help me!" "Martha, Martha," the Lord answered, "you are worried and upset about many things, but only one thing is needed. Mary has chosen what is better, and it will not be taken away from her." Martha was worried about getting things done and having everything ready and in place, her focus was on everything being perfect and well prepared - but it was at the cost of her peace of mind, and her time that could have been spent in other ways. My husband will drop the "Martha, Martha" reminder on me now and then when I get too caught up in having all my ducks in a row - it's annoying, but it does make me stop and re-think my priorities and ease up a little on myself. 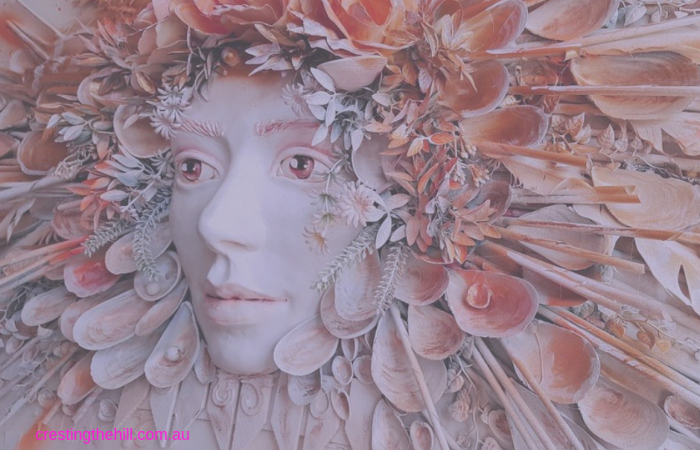 Anne relates this to shedding another shell - the shell of keeping up appearances and worrying about what other people might think - a form of pride, and something that can be released at long last as we settle into Midlife and choose contentment over competition. Can you relate to Anne's thoughts? 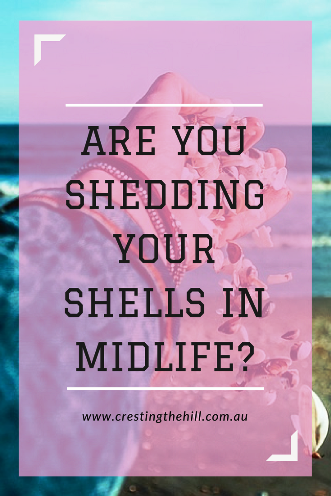 Are you shedding the shells that no longer serve you? Are you enjoying the unraveling and the shedding as much as I am? Or is there a little bit of "Martha, Martha" still needing to be dealt with? Leanne - I think I shed those shells and let go of Martha, Martha during my first midlife crisis at 30 - when I left the convent. This allowed me freedom to raise my children and run my house as I wished. I attempted to fit into a shell that didn't quite fit between 2010-2015 and was miserable. I hope to never return to that! I think it's an ongoing journey Min - we discover parts of ourselves that no longer suit and we leave them behind as we go - I still find Martha sneaking up on me at times and it's nice to be able to recognize that and shed her again and again until one day she'll no longer be a part of me. You find the most beautiful ideas, Leanne. I really can relate to this. Just a couple of years ago I let a friendship go...and I never do that. At least on purpose. Especially one that has been around for so long. But it wasn't a healthy relationship and I didn't enjoy it. So I let it go. And even though I still have a little guilt about it, I'm glad. Jodie I did exactly the same thing - and I still have twinges about it too. But we need to shed people sometimes if they're not good for us - life is in constant movement and I think it's really healthy if we are brave enough to discard who and what hurts us if we need to. Good on us for being courageous! I've never heard to Martha/Mary story & it's a beautiful one. It is a whole picture story in a few sentences isn't it Jo? And such a lesson for someone like me who feels the need to be working when sometimes it's enough just to sit and to "be". I think we are all works in progress Kathy - I would hate to think I had no further growing to do and no further shells to shed - it's good to be improving isn't it? yes I had forgotten about martha , oh I have played that part well, more inclined to catch her now and pop her on the couch. so good for us to shed our ambitions our pride our appearances - certainly this is the age we can get on with it if we havent before. refining synthesising and discerning are part and parcel of the process to liberation - as I wander this path I realise that liberation exists within me - all that is required is peeling away the veils - one shell at a time perhaps. lovely leanne - you are terrific with your insightful take on it all. I think we could both enjoy sitting on that couch a little more often Sandra. It's nice to put our feet up for a while and rest on our laurels - and to not be striving. I think not striving is something I have been learning over the last few years - it's really not healthy or helpful, it just creates stress and pressure and I'm SO over that! Leanne, I just finished Anne's book in the spring. A group of women I adore read this and we all talked about this book. I am your newest fan! Following. Love this article, Leanne! I often get caught up in Martharian (new word!) activity. Outside reminders, though often aggravating, are really necessary to bring me back. I always appreciate them . . . later . . . I often appreciate the reminder more in hindsight too Diane - the trouble with Martharianism (another new word) is you're often so caught up in the stress of the process that you resent being reminded that you're overdoing it! Thank you for the reminder about "Martha-like Anxiety". I am Martha. It's hard to unlearn a life-long habit and mentality but I am starting to try. It is definitely a shedding of shells. For me it's an oldest child thing Sigrid - I feel like everything needs to be neatly lined up and under control - that is so much hard work and to be reminded that it's okay to let that go and just be present in the moment is such a joy. Exactly Natalie! We shed those shells that confine us and it gives us room to spread out more and encompass more - I love the concept of having more space for what brings me joy (while getting rid of the stuff that holds me back). Leanne, "Gift from the Sea" is one of my favorite books. So much wisdom. I'm not surprised you got inspiration from it too. She seems to have such a sensible and thoughtful approach to life Laurie and that translates so well into what I'm learning through Midlife. I love the idea of shedding shells but not sure if I agree with all of them as in some ways there's a sense of 'giving up' or having reached a peak. I'm not sure if I feel differently cos I don't have kids or grandkids and I know people who do feel as if they've handed on the baton in a manner of speaking, whereas I don't have that sensation. I like to think it's still okay to hold onto some ambition as there are still things I'd like to achieve But there are certainly things I'm happy to have let go of!!!! I think everyone's shells are different and have different values to them Deb - some let go sooner, some hold on because they've got more invested in what created that shell. We still need some layers of protection and I don't think we need to shed every shell - just the ones that don't fit or feel comfortable any more. Beautiful post. I just turned 30 and I think I've shed the things that need to be out of my life a long time ago, particularly resentment towards my other half. It's a long story but yeah, the pain that happened was over for me a long time ago. Maybe it takes a major upheaval to start the shell shedding early Kye? A marriage breakup, leaving the convent like Janet, and other life hurdles often bring things to a head sooner than we anticipated. For those of us who've had it a little easier, Midlife seems to be the touchpoint for the shedding to begin. Thank you for another thought-provoking post, Leanne. Yes, there is definitely still some Martha in me. She is softening -- but still present! My pleasure Donna - my Martha is still always ready to take control and it's a battle to remind her to take a seat and just enjoy the party! This is definitely a time of shedding for me, but a time of new things as well. 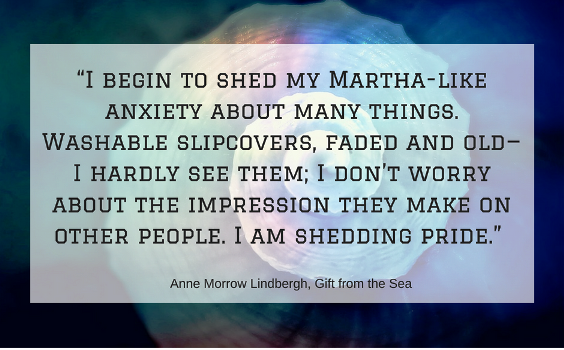 I read Gifts from the Sea many years ago, but I think I need to revisit it! Wise words from a smart lady! I think the shell shedding is an ongoing process Michele - much as it is for sea creatures - if we're growing and developing then we'll need to shed shells to make room for the new parts. Leanne, It takes a lot of awareness and courage to let go of things and people who do not support our growth. Midlife is a 'natural' time to take stock of our contentment and happiness; we have been busily distracted with raising children, building careers and such and may not have even noticed that something was 'off.' Life altering 'events' can point us down that path at almost any age. That was my case.During that time, I read Gift From the Sea, The Artist's Way, Bird By Bird, the Bible, and many other very helpful reads. Those wise words have forever been a reminder to consider ME first and make smart choices. While that may sound selfish to some readers, it really is freeing to make your own rules for living a happy life. It is a healthier and more honest stage of life that continues to evolve, with personal awareness and diligence. Martha does rear her head (especially during the holidays), but Mary reminds me to slow down and pay attention to what really matters. 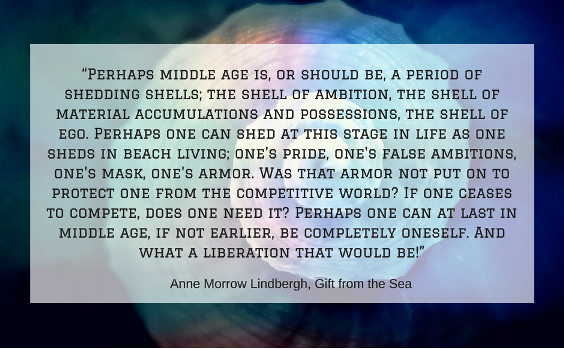 I love your insights from Gift From the Sea and look forward to reading your other posts. If you have not read The Aviator's Wife, pick up a copy. 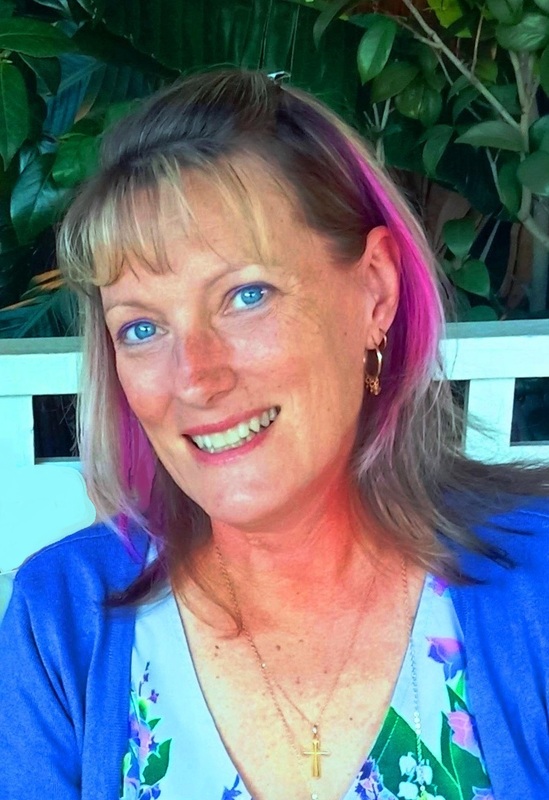 You will get to know who Anne Marrow Lindburg was in her younger years. She was definitely a work in progress, just like all of us. I need that tee shirt Roseann! It sums it up beautifully doesn't it? No more putting on a mask - just being ourselves - perfect!